Go back to a simpler time & have some fun recreating your local five and dime. Hardwood floors, decorative memorabilia linning the walls, and the store dog taking a nap-what a perfect way to spend an afternoon. 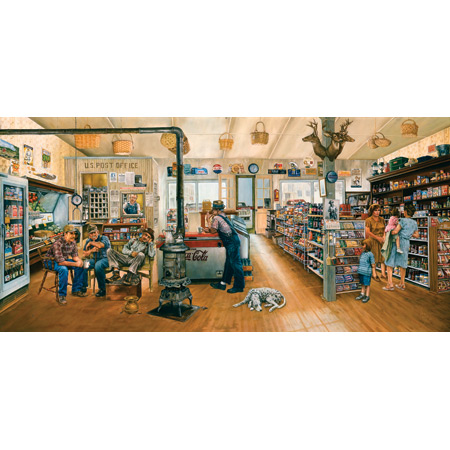 1000 Piece Puzzle Size: 16" x 34 This puzzle is Eco-Friendly and printed with Soy-Based Inks on Recycled Board. Proudly made in the USA.